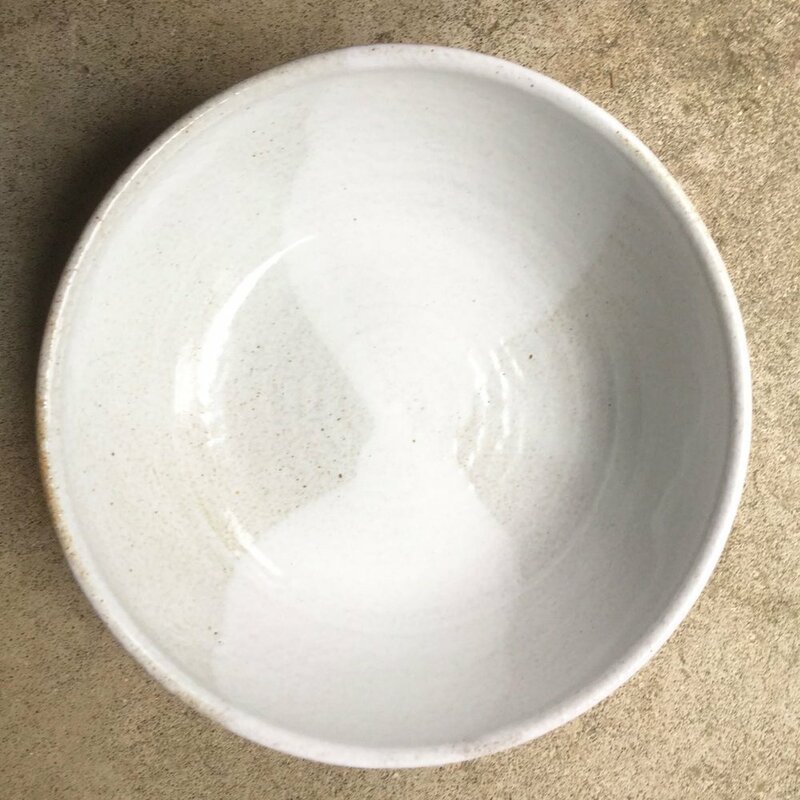 A big, beautiful mixing bowl glazed in glossy, lightly speckled white, with beautiful drip marks down the side. Approximately 12” wide and 4” deep. Hand thrown in California.